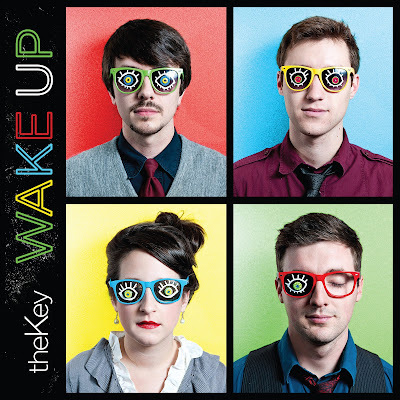 TheKey release new single, "Wake Up." Who did you guys work with on "Wake Up"? Scott: We had the incredible privilege of co-writing "Wake Up" with the one and only Scotty Wilbanks, who also produced the recording. He is a very talented and physically fit man, who plays the keys for Third Day. How did the song come together, writing-wise? Scott: "Wake Up" actually morphed out of one of our older songs, "Waiting" from our recent album "This is Goodnight, This is Goodbye." We wanted to re-vamp it to give it new life, and we did. So much so, that what we ended up with was a completely different song. We tried everything on this song: different styles, verses, choruses, sounds, you name it, we did it! There was no settling on this song. We all had to be completely happy with it and Scotty isn't easy to please. It was a long, long process, but totally worth it! We are beyond pleased with how it turned out. What do you hope people to take away from this song? Scott: I hope that when people hear this song they hear the cool sounds and drive of the song, but more importantly I hope they hear the lyrics. Lyrically this song is a challenge to think. To look around you and ask, what are you becoming? It seems that deep thought about life, death, and our ultimate purpose has become a rare thing. It can be so easy to just live a life of distraction, and never be forced to think about the reality of our existence. We believe all of this is found in Jesus. When we look at the world around us, and recognize our own depravity, we see that we need Jesus. Ultimately that is what we hope this song will lead people to, though lyrically this one is a little more abstract, than literal. Over all this song is an upbeat one, and a fun one. 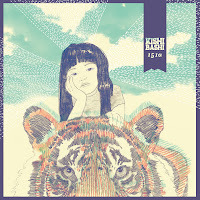 Hence the artwork with this single! I hope people enjoy it, as well as get what it's really trying to say! Why the choice of doing a new EP, rather than an LP? Mayfield : Well it's somewhere in the middle. Eight tracks. Four brand new songs, two remasters, an acoustic tune, and a remix of 'Fire Escape' from Catherine Marks (The Killers, PJ Harvey) featuring John Paul White of The Civil Wars. I'm gonna make it a point to keep the price low for fans that may already have a couple of the tunes. What did you and Paul Moak focus on this time around? Was it just you guys in the studio again? If not, who did you bring in? M: Moak and I have a unique musical kinship. It took us a while to learn each other as artists, but once we did, we started seeing that we were truly sharpening each other and challenging each other. He's a brilliant, musical mind. I wanted to try some new things and get some fresh sounds in the mix while keeping the organic elements at the forefront. How did the material for Irons In the Fire come together (writing wise)? Did you write it during a specific time frame? M: As always, it's a bit all over the place. I wrote 'Miles & Miles', 'Look Me In The Eye', and 'Follow You Down' on the road with NEEDTOBREATHE this past fall. When it comes to creativity, I'm either on fire or I'm burned out. Being around talented folks like the NEED(TOBREATHE) boys and Good Old War inspires you in a bit of a subliminal way. You don't know it's happening, but all those sound checks and shows paired with 9 different musical minds and the right amount of spare time makes for a perfect storm. I've been on fire ever since. Would you say that this album is a departure from your previous record? Is it a harder, more rock album? M: Irons has a little bit of everything on it. The opening track, 'In Or Out', is certainly the heaviest thing I've put out in a while. Felt so good to turn up and dig in again. Songs like 'Miles & Miles' and 'Look Me In The Eye' are new territory for me especially when it comes to the guitar sounds. I wanted to keep the acoustics in the back and let those jangly electrics be the foundation. I kept referencing Springteen's The River in the studio because there's a magic to those guitar tones that I wanted to try and find. So rich and warm, but never overkill. 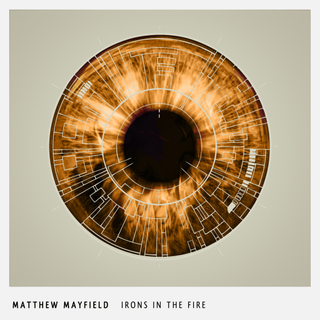 What song were you most pleased with on the new EP, Irons In the Fire? M: Today it's 'Miles & Miles'. I struggled to find that song. I chased it relentlessly for months. I had a great verse, but couldn't find the chorus to save my life. It was like a fight with your girlfriend, sometimes it's best to step away and come back when the dust has settled a bit. One night I came home from the bar and sat on the floor in the dark. I went through the verse once and the chorus just arrived out of nowhere. Those moments are gifts. I didn't sleep a wink that night. 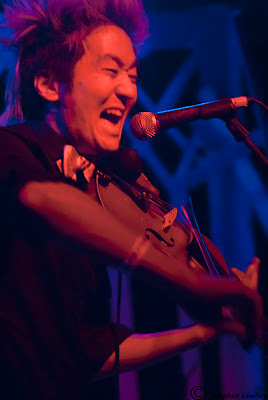 Nothing gets me more riled up than a great melody. You have a very loyal fan base; what would you say is the key to developing one? M: I'm so fortunate to have fans that not only support me, but seem to understand who I am as artist for the most part. They allow me to try new things and to explore new territory. It may not always be their thing, but I'm grateful for the opportunity. I think the most important thing is to realize that at the end of the day, your job as an artist is to deliver your best art to anyone who will open their ears. I focus on giving them content more than anything. My heroes didn't win me over with gimmicks. They won me over with songs. That's all I ever hope to accomplish. The rest falls into place naturally. Where did the idea to do a covers album come from? Did your devotion to karaoke fuel the idea? Do you have any hints on the Covers EP or the release date? M: I think the same part of me that loves Def Leppard's 'Pyromania' also loves the idea of drunken anthems being shouted to the heavens at 2 am in some dive down the street (laughs). But this set of covers came about a bit differently. The Covers Collection is a record for the fans. They have asked for these songs for quite a while and the time was finally right to give it to them. I enjoy exploring these songs and making them my own, but I mostly just wanted to give my fans what they'd been asking for. It will be available exclusively at Pledge Music, so every dime we make will go towards the promotion and marketing of Irons. How did the live EP come together? Who did you work with? Where was it recorded? Are you pleased with the result? Release date? M: The live thing was a lot of fun. On the last tour, I had a lot of recording capability at my fingertips since I was out with a band that carried their own console. My friend Mikey Reaves (NEEDTOBREATHE's monitor tech) was running sound for me every night, so we found a good mic and just went for it. It's 5 songs, 5 cities. Just me and my guitar. Mikey did an incredible job on the mix by incorporating the dynamics to keep the live feel. It's another exclusive at Pledge Music . You recently tweeted that you turned down "The Voice." What motivated you to make that decision? M: A lot of folks thought it was a jab at other folks who have gone that route. It wasn't at all. It's just not me. I mean, can you see me up there with a big smile on my face during Tina Turner night on Team Adam? Me neither. I also know myself well enough to stay away from anything that has a shot-out-of-a-cannon vibe. My personality could never handle that kind of swing. If I get there at a steady pace, then great. But you don't wanna be on the cover of People Magazine when all you've done is sing karaoke on TV and gotten a record deal that won't last. I don't want fame without true fans. One minute you're flying high, the next you're doing commercials for the local car dealership. I'd rather jump off a building. Over the years you have seen some huge successes within your close community of musicians. How would you say you celebrate the successes of your peers? Are they ever bittersweet? M: Man, it's been amazing to watch. The NEEDTOBREATHE guys, JP and Joy(The Civil Wars), Will Hoge, too many to name, honestly. I couldn't be happier for them because they've truly paid their dues. They are blue collar acts. They've worked their asses off for years and years and it's starting to pay off. It always gives me chill bumps to listen to these huge crowds singing songs I've heard for years. I feel like a proud mother. Ha. I may have cried like one sidestage a time or two as well. Tears of joy are a rarity. You will be using PledgeMusic.com again to help raise funds to promote the projects. What initially attracted you to this process? What can fans look forward to seeing in the pledge levels this time around? M: I was introduced to Pledge by my old manager, Brian Klein (Joe Purdy, Fitz & The Tantrums). He's a DIY hero and taught me so much about the new world while we worked together. This time, my favorite incentives are The Live EP and The Covers Collection. I love being able to deliver music to the people who want it most. If you pledge, you'll get something that only a few folks have. I also have some handwritten lyrics, guitars, private shows, etc available. Every dime will go towards the promotion and marketing of the next release. I hate it, but properly promoting a record as an independent artist is really expensive. I figure the best way to get the money is to make sure everyone wins and gets quality, exclusive content. That's my favorite part about the service Pledge provides. I know you've answered this for me before, but this is worth repeating: What kind of advice would you give to an artist starting out? M: The best advice I can give is this: do everything yourself. Learn how to be your own manager, agent, label, and promoter. I've been through seasons where all of those elements were in place and others where none of them were. You've gotta adapt if you're gonna survive. That's the new world. I wish we could all be rock stars with no worries besides where to find more cocaine and who was getting us to the tarmac for the next jet ride, but sadly those days are gone. What have some of the advantages and disadvantages of going the "independent" route as a musician, and adopting many of the DIY practices? M: I got signed to a major label when I was 21 with my band, Moses Mayfield. We were wined and dined. I thought I had won the lottery because all I had ever dreamed of was being a rock'n'roll star. We got a big advance and made a super expensive record in some of the country's most incredible studios. But that was 8 years ago. The industry has completely changed and been turned upside down by the digital wave as well as the streaming wave. Artists have to find other means of paying expenses. Everything costs money: gas, food, hotels, guitar strings, drum heads, oil changes...the list never ends. Our expenses are moderate in the studio and insane on the road. So it's important for music fans to realize that buying a record, coming to a show, and spreading the word about the music you love is more important than it ever has been. Supporting independent artists isn't about charity, it's about believing in the underdogs. It's about artists who view music as a true craft, not a means of becoming rich and famous. It's about knowing that if the fans don't make waves and create buzz, the artist will never be able to survive in today's climate. It's brutal. In every love story there is a potential for both euphoria and pain. as you mentioned, many of your songs focus on post-breakup stories of grief and pain. What about all of the good parts of a love story? Does this show up in your writing? M: There are good parts? Surely not. <laughs> No I certainly write about the good things. Quite a bit. 'Follow You Down' from the new EP is a perfect example of that. It started as a hypothetical. Someone asked me to write a song for a film and all they gave me was a two sentence synopsis of the couple's story. I started with that line 'first time to meet you, or could I be wrong?' and it all spilled out from there. That song quickly became about me, but not a single experience. It's about the idea. The Fight. I've never believed in anything more than I believe in the Fight. Good things aren't easy and human beings are often selfish and extremely hurtful towards one another in relationships, myself included. But that's the beauty of realizing the strength of what we're up against and how helpless we truly are. It's so important to acknowledge that fact, but to never give up. I can't give up. 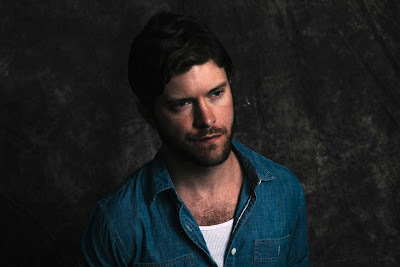 Shortly before a show at Eddie's attic in Atlanta, Michael Grubbs joins us on a staircase behind the venue to perform "Only Human," an unreleased song written only days ago with Chris Badami. 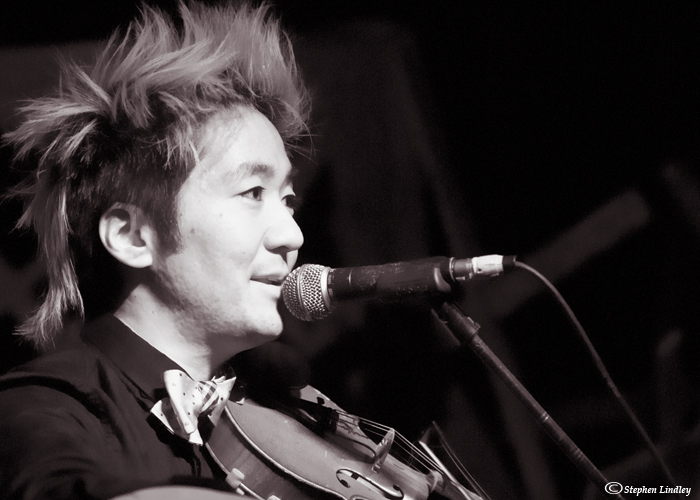 Soon after being turned on to Kishi Bashi's latest album, 151a, I had the opportunity to see K perform at the Earl in Atlanta. Not really knowing what to expect, I had relatively low expectations going into the show. 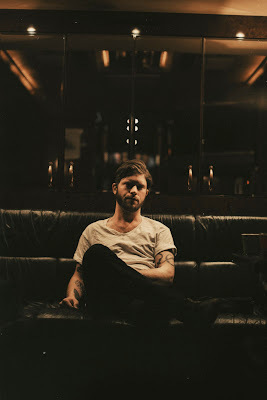 I mean, after listening to the record on repeat for the entire week prior to the (cramming for the show, in usual mousertime fashion), I had no idea how an artist could recreate the lush sound found on the album, without playing backing tracks. I couldn't have been more thrown off. K, armed only with a violin and a looping pedal setup and a little help from Tall Tall Trees, Elizabeth Ziman, managed to wow the crowd with intricate arrangements of each of his songs. Truly breathtaking. We recently caught up with K. Ishibashi, and were able to get some pressing questions answered. Check out http://www.kishibashi.com for the latest news regarding Kishi Bashi. You just finished up a headlining tour, how was it overall? Have you had a chance to rest? The tour was incredibly successful! It was almost 95% sold out and a great feeling to know that I was connecting to so many people around the country. Were there any specific shows or crowds that blew you away while on tour? The crowds were all amazing. I noticed that some crowds are consistently crazy and wild regardless of how close the show is to a weekend (Austin, Houston, Chicago) and then there would be some sleeper cell cities that completely got me by surprise (Minneapolis, St.Louis). The Atlanta crowd was really listening with all their heart, which I love. I had the opportunity to see you perform in Atlanta and found your show to be mesmerizing! I couldn't believe how well the music translated to the live setting. Do you have the live performance in mind when you are writing and recording? I try and keep my compositions simple so that I can perform them solo if I have to via looping. I have been working with Tall Tall Trees consistently, so I'm definitely beginning to branch out into more traditional song forms again for my next album. How did you get hooked up with Tall Tall Trees and Elizabeth Ziman? Did you intend on utilizing their talents during your show, or did that just happen organically? Who are some artists that you look up to in regards to stage presence and live performance? I've had the unique honor of having worked with some fierce and inspiring solo artists in succession. Regina Spektor is amazing. She had her audience in the cup of her hand and showed me a level of intimacy that I learned to enjoy and have always strived to achieve. Sondre Lerche could kill the audience with just his guitar, and he showed me the highest level of raw showmanship and stage presence. Kevin Barnes and of Montreal are just completely committed to provoking and entertaining their audience and just putting on a fantastic musical/visual/theatrical show. I'm generally a very lazy person, so I have to combat it by setting myself up with a "writing schedule" sometimes. I'll give myself 30 minute blocks to come up with song ideas and then I’ll demo them very quickly and think about them later. Are you a continual writer, or do you write in spurts? I am assuming that you originally began playing the violin in a more classical setting, but I am curious if you remember a specific time or period when you realized that you could "make it your own"? I studied improvisation and jazz on the violin and I had been struggling for a while as an instrumentalist for years when I moved to New York City. After that I focused on my songwriting and being in a band with my old group Jupiter One. Now, I think I've found a place where I've combined the two and it's inspiring me to create music that is both exciting to myself and my audience. Are you currently working on any new material? I will be making an album this year come hell or high water. What's next for you on the schedule? Europe, Australia, and Japan in one month! Nick Drake? Just kidding... I actually listen to top 40 dance music a lot now. I actually love club music and electro so I'm glad there's a lot of it on the radio now.